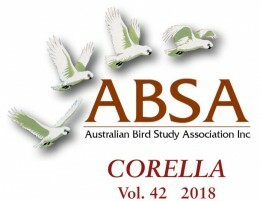 The latest Corella Volumes can be viewed only by ABSA members. Members need to be logged in to view. Abstract – Doing what comes naturally: are Australian Wood Ducks Chenonetta jubata pre-adapted for feeding in cities?